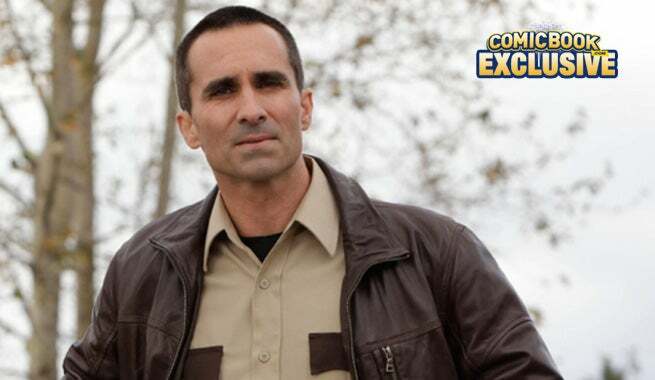 Nestor Carbonell is an actor who is very well-established in geek culture. Having played the immortal role of Richard on LOST, the mayor on the Dark Knight trilogy, and now starring in the terrifying hit horror series, Bates Motel as Sheriff Alex Romero, chances are: you've seen him before. What you may have been unaware of is his directing ability. In season three of Bates Motel, Carbonell was called upon to direct the fifth episode and received quite a bit of praise from critics and fellow cast members. Over the weekend, we caught up with Carbonell at Walker Stalker Con in Atlanta where he told us his days of directing Bates Motel are not over. "They're gonna let me do episode eight of next season," Carbonell told ComicBook.com, concluding, "So, I'll have to prep that one." "Like many of the shows I get to do, it's pretty tight-lipped. All I can say, is it'll have to be big. There's a lot of payoff. There's been a lot of set up until now, so there will be payoff. We saw Norma's descent already clearly happening especially through the second half of last season so we'll see more of that to come, no doubt about it. For my part, whether anything is gonna happen with Norma, she's a frustrating woman, that's all I've got to say. She's a tough one. She's a tough nut to crack so we'll see what happens there." Of course, we didn't stop there. We asked the Dark Knight vet who's side he'll be on come Batman vs. Superman, and his response was quick, "It's gotta be Batman." He also has great faith in Ben Affleck's ability to portray the caped crusader, saying, "I've known Ben a long time. He's a great guy, a great actor, and now a phenomenal director... He's gonna be great." Bates Motel returns for its fourth season in 2016 on A&E.